Washington, DC – Today, the Public Affairs Alliance of Iranian Americans (PAAIA) released the findings of its 2018 National Public Opinion Survey of Iranian Americans, revealing concerns over increased discrimination and U.S. policy towards Iran. More than three-quarters of respondents are worried about increased discrimination against Iranian Americans, and nearly half (49%) report that they have personally experienced discrimination. Reflecting anxieties over policies that stigmatize the Iranian American community, seventy- seven percent (77%) of the respondents oppose President Trump’s Travel Ban, with over one-third indicating that they regularly receive visits from family and friends from Iran. With respect to the U.S. withdrawal from the Iran Nuclear Deal, seventy percent (70%) disagree with the decision to abandon the deal and the majority believe that the withdrawal will increase the likelihood of military strike against Iran (51%), is unlikely to gain any broader concessions from Iran (52%), and is more likely to increase support for Iranian hardliners’ anti-American sentiment (67%). In terms of U.S. policies toward Iran, the community continues to prioritize advancing democracy and promoting civil rights, allowing Americans to invest in Iran to create employment opportunities, and enhancing ties through cultural diplomacy and education exchanges. More than two-thirds (68%) of Iranian Americans believe that a parliamentary democracy/republic is the best type of government for Iran. One-half (50%) believe that a grassroots democratic movement is the best pathway to a more democratic society in Iran, while just fifteen percent (15%) believe that sanctions or covert/military action would move the country in this direction. When asked which Iranian leader is most likely to move Iran toward a more democratic society, thirty-five percent (35%) chose exiled Crown Prince Reza Pahlavi and nineteen percent (19%) chose human rights attorney Nasrin Sotoudeh, the only two leaders to achieve double digits. By an eight-to-one margin respondents oppose the U.S. backing the MEK (People’s Mojahedin Organization) as a legitimate opposition force. 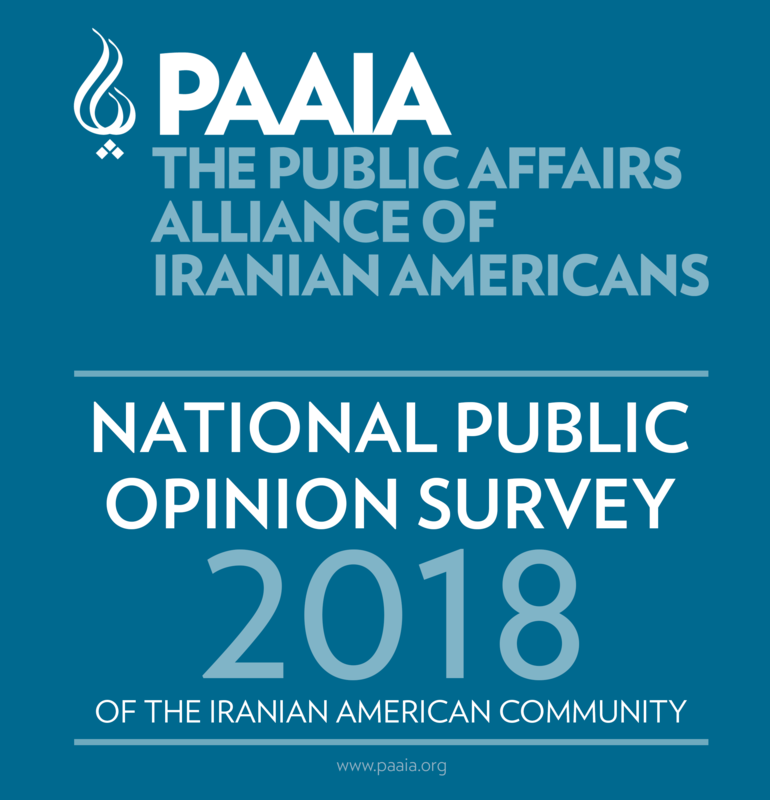 PAAIA’s annual surveys are an integral component of better understanding the Iranian American community through the on-going collection of accurate scientific data. PAAIA commissioned Zogby Research Services (ZRS) to conduct this telephone survey of Iranian Americans. The Public Affairs Alliance of Iranian Americans (PAAIA) is a nonprofit, nonpartisan, nonsectarian organization that represents the interests of the Iranian American community before U.S. policymakers and the American public at large.